Updated Thursday February 7, 2019 by Chad Pouliot. Reminder to all that time is running out for the early bird and the sibling discount special of $10.00 off per child. These specials end Sunday, February 10, 2019. 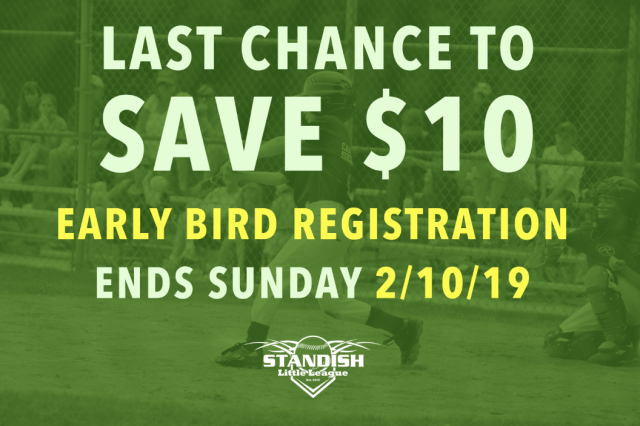 Please take advantage of the discount and register your child!